I wanted to create a rustic feel to today's card. I knew I wanted flowers, which I found in the P.S. 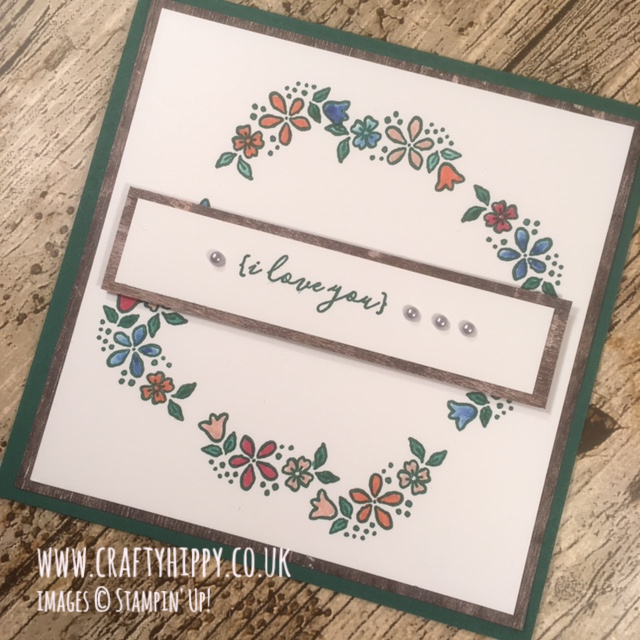 You're The Best stamp set, to use our Wood Textures DSP, and some Shaded Spruce ink for this project. This was the result! I can't say that aesthetically it's my most favourite card, but it certainly was one of the most fun to make. There is a full list of products used at the bottom of this blog post.